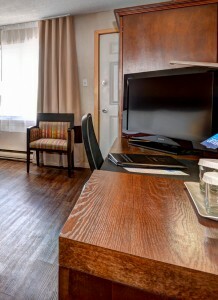 DIRECT ACCESS TO OUR PARKING LOT (FIRST FLOOR) AND NO CARPET. 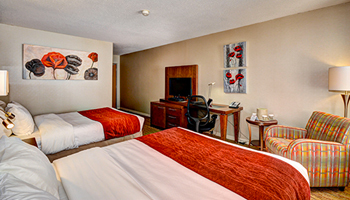 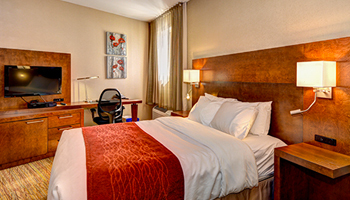 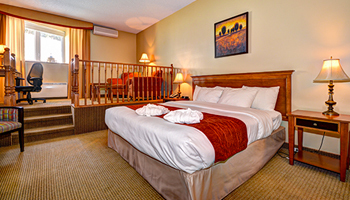 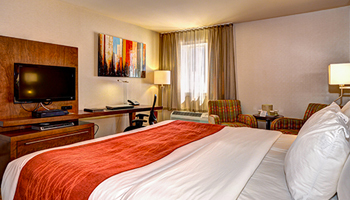 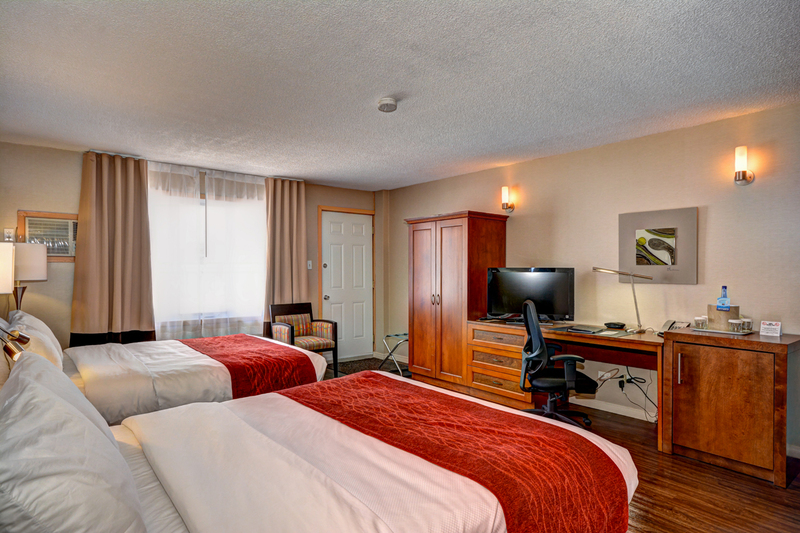 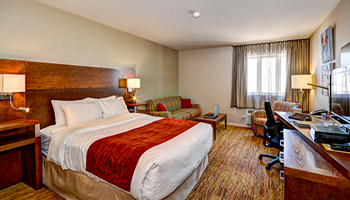 Our traditional 2 Queen Size bed rooms with patio and direct access to our parking lot are freshly renovated and equipped with a hard surface floor. 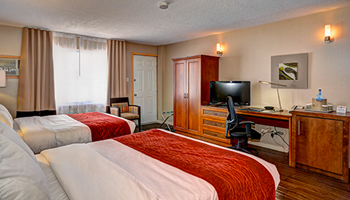 This type of room is ideal for snowmobilers, ATV riders and motorcyclists who desire having a fast access to their machines. 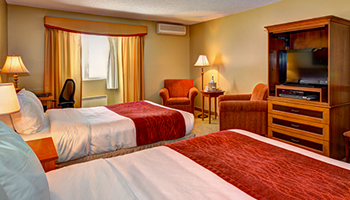 The security cables, connected to an alarm, are positioned in front of these rooms.